Sofa sets are the basic necessity of any house.These also add charm to the interior of the house. These not only add elegance to the place, but also contribute significantly to add beauty to the place. These are widely used in homes or in corporate offices. There is a range of sofa sets that are available in the market. These are offered in a wide array of designs, colors & materials. These craftsmen have created these impressive designs so that these can suit the taste of the buyers. It is just unpredictable to say about the mood of the buyers. Some just love to have simple designs with very low craving while others like very minute artistic designs. Manufacturers of sofa sets are creating their furniture products in range of material. The most liked configurations are that of wood & stainless steel. Whatever may be the trends of the market, but wood furniture always has a special respect in the hearts of the people. 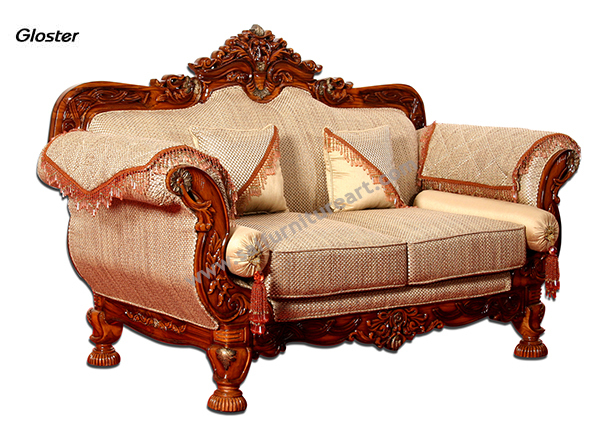 The wooden sofa sets are widely preferred owing to the fact that these offer durability, reliability & long life. The artist provides very beautiful designs on the wooden structure that give a royal feeling. The minute work of artistry also adds charm to these. When the colorful cushions are provided along with the polish to the wood, then this will give mesmerizing feeling. The designer sofa sets basically contain special craving & designs. In these, the wooden frames, studded with cushions provide mesmerizing appearance. The fabulous combination of these will surely add charm to your office or home. The classical designs are inspired from the standard prevailing designs. In these, the wood is carved in the designs in order to make these beautiful. Manufacturers of sofa sets are employing the state of the art machinery so as to offer fascinating designs. The advance machinery helps in offering very minute designs that can give an elegant appearance. The premium quality wood is being used in order to offer durability & reliability.